• Wakefield, K. & Hupp, S. D. A. (2011). Cognitive-behavioral therapy. In S. Goldstein & J. A. Naglieri (Eds.) 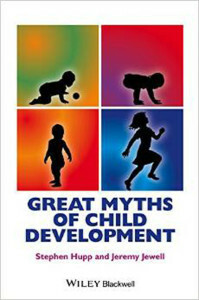 Encyclopedia of Child Development and Behavior. New York: Springer. • Hupp, S. D. A., Jewell, J. D., Reitman, D., & LeBlanc, M. (2010). Competencies in child clinical psychology. In J. C. Thomson & M. Hersen (Eds), Handbook of Clinical Psychology Competencies. New York, NY: Springer Publishing. • Hupp, S. D.A., LeBlanc, M., Jewell, J. D., & Warnes, E. (2009). History and overview. In J. Matson (Ed), Practitioners Guide to Social Behavior and Skills in Children. New York, NY: Springer Publishing. • Jewell, J. D., Jordan, S., Hupp, S. D.A., & Everett, G. (2009). Etiology and relationships developmental disabilities and psychopathology. In J. Matson (Ed), Practitioners Guide to Social Behavior and Skills in Children. New York, NY: Springer Publishing. • Jewell, J. D., Hupp, S. D. A., & Pomerantz (2008). Diagnostic classification systems. In J. L. Matson & F. Andrasik (Eds. ), Assessing Childhood Psychopathology and Developmental Disabilities. New York, NY: Springer. • Jewell, J. D., Hupp, S., Segrist, D. J., Lider, R., McMurray, W., & Tintori, A. K. (2008). The effectiveness of virtual reality technology in preventing drinking and driving. In F. Columbus (Ed), Traffic Accident Causes and Outcomes. Nova Science Publishers. • Hupp, S. D. A., Reitman, D., & Jewell, J. D. (2008). Cognitive behavioral theory. In Hersen, M. & Gross, A. M. (Eds. ), Handbook of Clinical Psychology Volume II: Children and Adolescents. New York: John Wiley & Sons, Inc.
• Reitman, D., & Hupp, S. D. A. (2002). Attention-Deficit/Hyperactivity Disorder. In M. Hersen (Ed.) Clinical behavior therapy: Adults and children (pp. 400-419). New York: Wiley. • Hupp, S. D. A., McKenney, E., Schmittel, M., McCobin, M., Owens, S. A. (2013). Disseminate, debunk, differentiate: Teaching about evidence-based treatments in a child psychology course. the Behavior Therapist, 36, 14-16. • Hupp, S. D. A., Stary, A. K., Bradshaw, K. N., & Owens, S. (2012). Debunk, debunk, debunk: Some evidence for why dissemination is only half the battle. the Behavior Therapist, 35, 76-78. • Hupp, S. D. A., Stary, A. K., & Everett, G. E. (2012). Implementation guidelines: Developing and implementing Social Story interventions. Journal of Evidence-Based Practices in Schools, 13, 141-144. • Hupp, S. D. A., Reitman, D., & Jewell, J. D. (2008). Cognitive behavioral theory. In Hersen, M. & Gross, A. M. (Eds. ), Handbook of Clinical Psychology Volume II: Children and Adolescents. New York, NY: John Wiley & Sons, Inc.
• Dodd, S., Hupp, S. D. A., Jewell, J., & Krohn, E. (2008). Using parents and siblings during a Social Story intervention for two children diagnosed with PDD-NOS. Journal of Developmental and Physical Disabilities, 20, 217-229. • Jewell, J., & Hupp, S. D. A. (2005). Examining the effects of Fatal Vision Goggles on changing attitudes and behaviors related to drinking and driving. Journal of Primary Prevention, 26, 553-565. • Hupp, S. D. A. & Adams, S. (2004). Making diagnostic labels reflective of environmental influences: A rose by any other name may not be so thorny. the Behavior Therapist, 27, 4-7.